We all have that friend (maybe it’s you!) who has to try everything, from offal dishes to those crafted with the Next Big Thing. 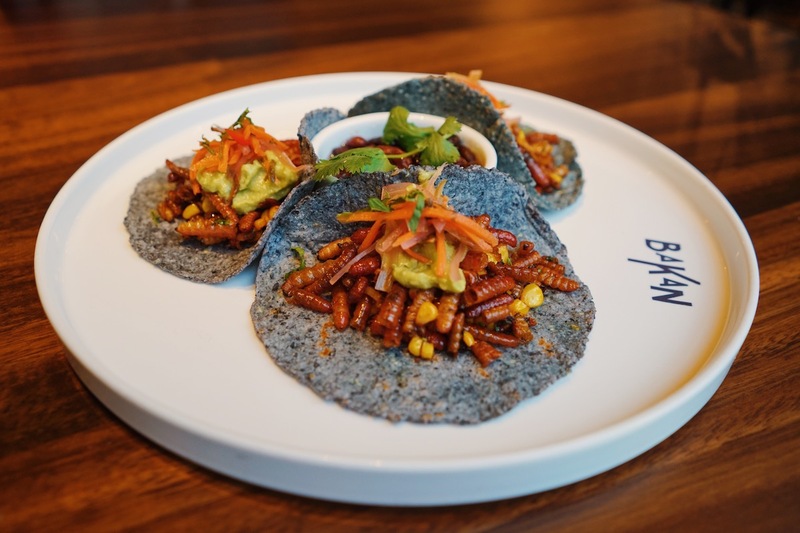 While insects such as ants, grasshoppers, and crickets are already popular in parts of Mexico and elsewhere in the world, this sustainable source of protein has recently swarmed menus across the U.S. and Canada. Grab your favorite adventurous eater and hit up one of these restaurants serving insects for an adventurous meal to remember. Not near any of them? OpenTable has you covered with more than 50,000 restaurants for any craving or occasion. Bakan has two creepy-crawlers on the menu. In the gusanos de maguey (pictured), agave worms are pan-fried to crispy perfection with guacamole and served on a blue corn tortilla. The escamoles feature ant eggs sautéed in butter, shallots, epazote, and guacamole served on a blue corn tortilla. The latter are harvested from Real del Monte, a town in Hidalgo, Mexico, while the former comes from Oaxaca, Mexico. Make a reservation at Bakan. Chapuline Tacos at Oyamel, Washington, D.C.
Named for the oyamel tree of central Mexico (where Monarch butterflies flock in the winter months), Oyamel serves the Oaxacan specialty of sautéed chapulines (AKA grasshoppers), shallots, tequila, and guacamole under the direction of legendary chef José Andrés. Make a reservation at Oyamel. 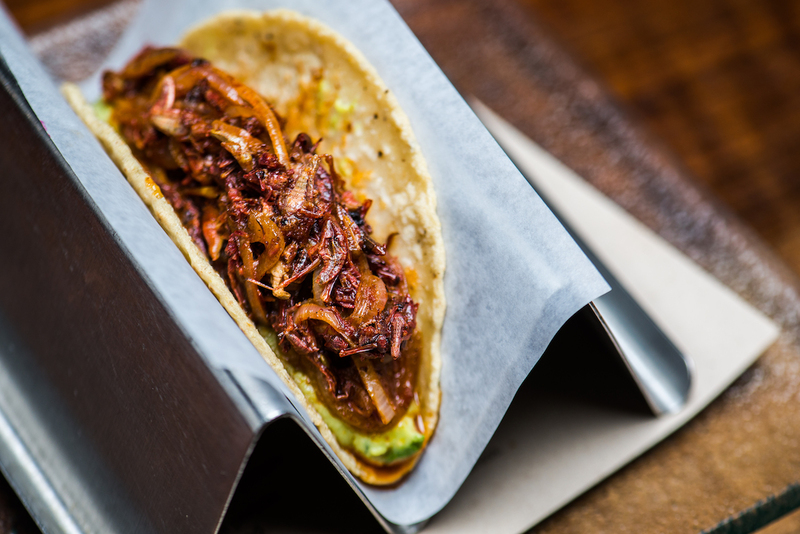 Insect options abound at Jorge Guzman’s East Village eatery. 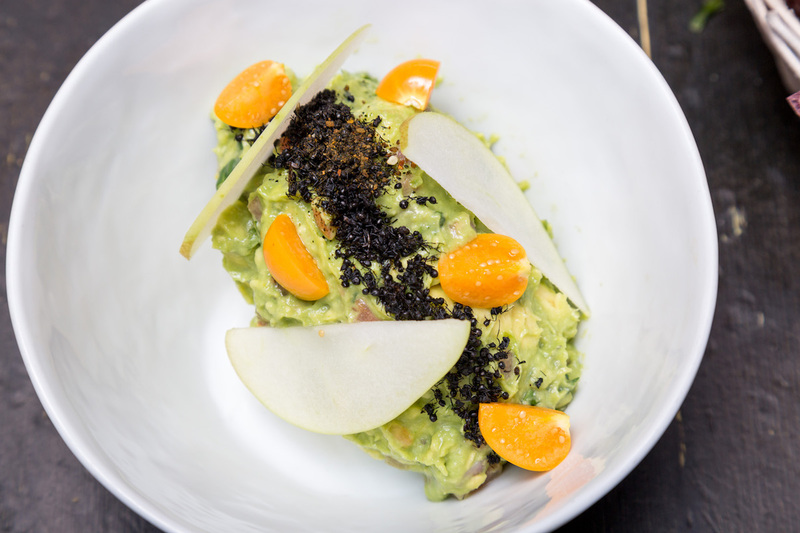 The aptly named black ant guacamole (pictured) comes topped with ant salt. Several dishes also feature chapulines, including grasshopper-crusted shrimp and Yucca-manchego grasshopper croquets. Make a reservation at The Black Ant. Adventurous diners-in-the-know ask for this make-your-own-taco, secret menu item. 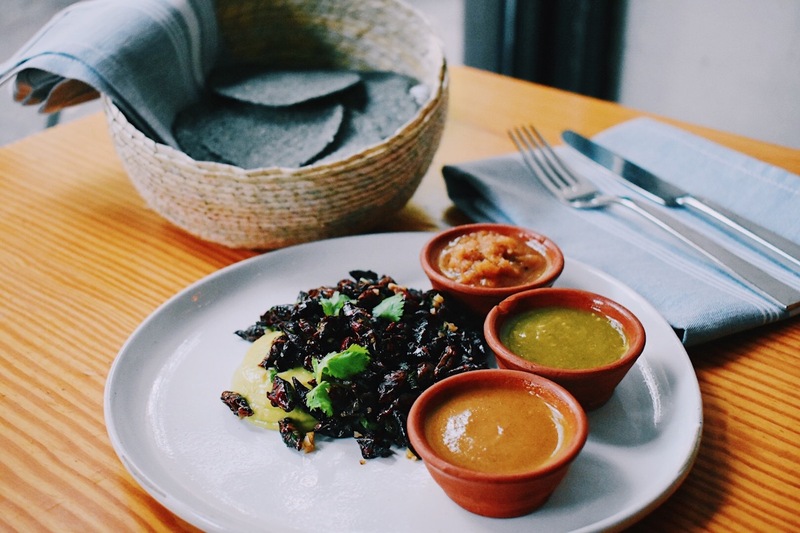 Featuring toasted chapulines, avocado purée, garlic epazote, and lime juice, it’s served with Barton Springs Mill corn tortillas and two salsas. Make a reservation at La Condesa. 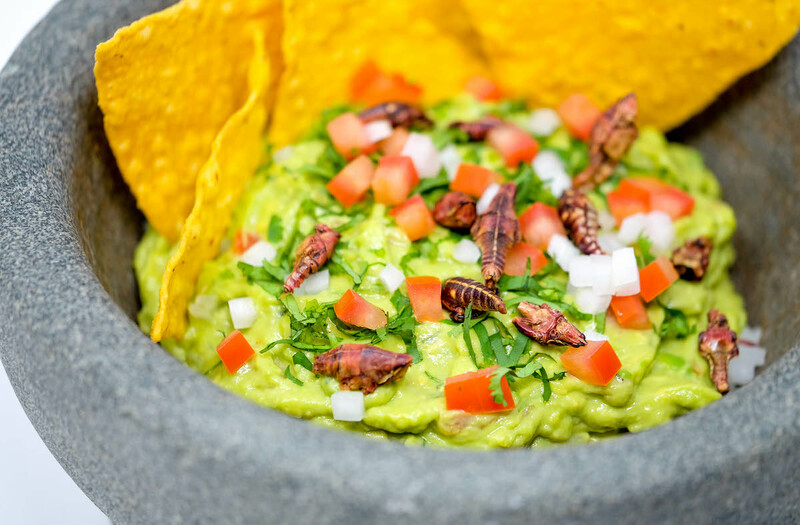 Chef Olivier Le Calvez offers crickets as an optional addition to his tableside guacamole because he appreciates the texture, depth of flavor, and protein they bring to the dish. When he’s able to source them, he also uses sal de gusano (worm salt) in salad dressings and chicatana (ants) in salsas or in specials. Make a reservation at El Catrin. Have you been to any of these restaurants serving insect proteins? Let us know here or over on Facebook, G+, Instagram, Pinterest, or Twitter. And, remember to snap + share your #dishpics with us on Instagram for a chance to win in our weekly giveaway. Susan Johnston Taylor is an Austin-based freelance writer who has covered food and business for publications including The Boston Globe, Civil Eats, Entrepreneur, Fast Company, Fresh Cup, and Pizza Today. Follow her @UrbanMuseWriter. Photo credits: All photos courtesy of the featured restaurants; Casey Tanaka (El Catrin).